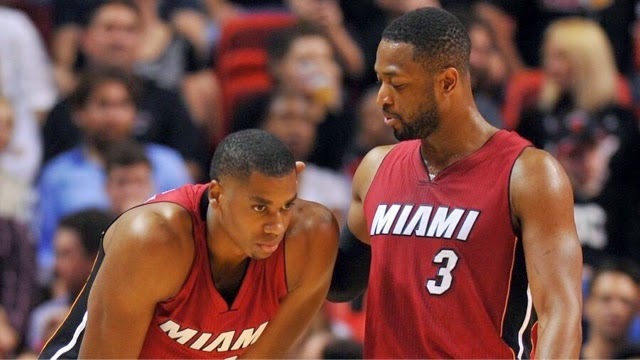 After falling to the Boston Celtics Miami Heat G Dwyane Wade had some strong words for C Hassan Whiteside who was ejected for the second time in seven days. "He's had enough veteran advice. There comes a time where you have to do it yourself. There's only so many words people can continue to say to you. You gotta do it. Not for you, you got to do it for the other guys you see in here sacrificing — that you see out there playing hurt and all the things you see going on. You're part of a team. You're part of an organization. "We all have our moments, selfish moments, but you can't continue to keep having them because you got to be reliable, and you got to be able to be counted on. And right now, if he continues to act that way, then he's not reliable."